Always Crafting: Hambo Hoedown Hop - "Sing Your Art Out"
Welcome to "Sing Your Art Out" sponsored by Hambo Stamps! Today Hambo friends, customers, and the Bacon Bits Design Team are bringing you fun creations that depict song titles! It might be our favorite song, or just one that was fun to design. If you arrived here from Debbie - http://inklingtostamp.blogspot.com/ you are in the right place! If not, you might want to start back at the beginning at the Hambo blog to make sure you are eligible for the hopper prize! A prize will be awarded to one participant whose song-themed creation tickles the Bacon Bits’ fancy in a singin' wingin' way! Another prize will be awarded randomly to a hopper who comments on all the blogs along the hop. The winners will be announced on the Hoedown blog, as well as on the Hambo company blog, Talk to the Ham, on Wednesday, September 21. 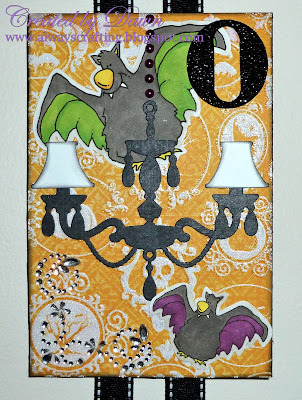 My creation is "A Spooky Wall hanging"! I am so excited to show this to you all! My kids and their friends gave me a "that's cool" when they saw this wall hanging so who could ask for more. :) I have been working on this ever since Monica posted that their would be a customer blog hop! Thanks Monica for the fun hop! Can you guess what song I was going for with this project?? The song I was going for is "Monster Mash"! I thought is was a perfect song to go with all the cool Hambo Halloween Monster images. They are just SPOOKY! LOL Their are six panels and a fun Hambo image is on each panel. In our house Halloween is huge so this will be used every year! I hope you like it and get inspired to create something fun for your own home. There are so many talented ladies involved in this hop so please checkout the fun things they created and leave some lovely comments to let them know they did a great job! Warm up those vocal chords and be prepared to sing! Now hop on over to Bonnie - http://theluckyclucker.blogspot.com/ for another great sing-along song! Great collection of cards! I see, like me, you coulodn't stop at just one! Thanks for sharing! Cute, cute, CUTE! Love the little wall hanging = and the song! Great project. Oh WOW Dawn!! WOW WOW WOW!!! This is way beyond fabulous, you've knocked it out of the park! So many details! What a brilliant idea, I love it so much!! Wow! This must have been A LOT of work! It is georgous! I love the 'mashup' hanging! What a Great Grave Yard Bash! HAH! I knew it was Monster Mash - I was singing it when I saw the first card - LOVE all of these fabulous creations! OMG! This is so clever and creative and wonderfully done!! Superb~! Dawn, this is fantabulous! Love the song you chose too! LOL! UNBELIEVABLE! I have seen you grow in the past year & you have outdone yourself. You should be so proud. You are a true artist! Hugs!! What a fun wall hanging! Love all of the details on each piece. 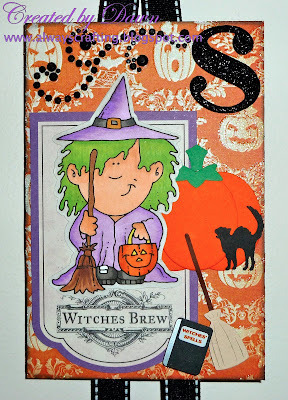 Thanks for joining us this month at Whimsie Doodles. WOW! All I can say is WOW! 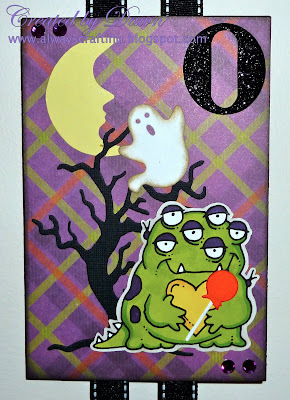 I love your Spooky wall hanging & all of it's fun details. Perfect project for the Monster Mash! oooo... I want one! Great way to use all of those images! I love the banner..
How clever! This makes me want to get outside my cardmaking box and make a wall hanger too! Thanks for the inspiration...and the song is perfect! Fabulous Halloween project, Dawn!! The little monsters are too cute...I mean spooky!! Love it!! Fantastic idea, card has turned out lovely!! What a FUN decoration!!! I actually DID get your song as I was looking at each 'monster'. Your coloring skills are amazing!!! Great job! wow, that is amazing, I love it! What a fun hanging. I can see why you got a thumbs up. The mad scientist is my fave. Love It!! Thank you for playing along with us at Really Reasonable Ribbon! WOW, this is great Thanks, you've put me in the mood for Halloween, but I can't get this song out of my head. 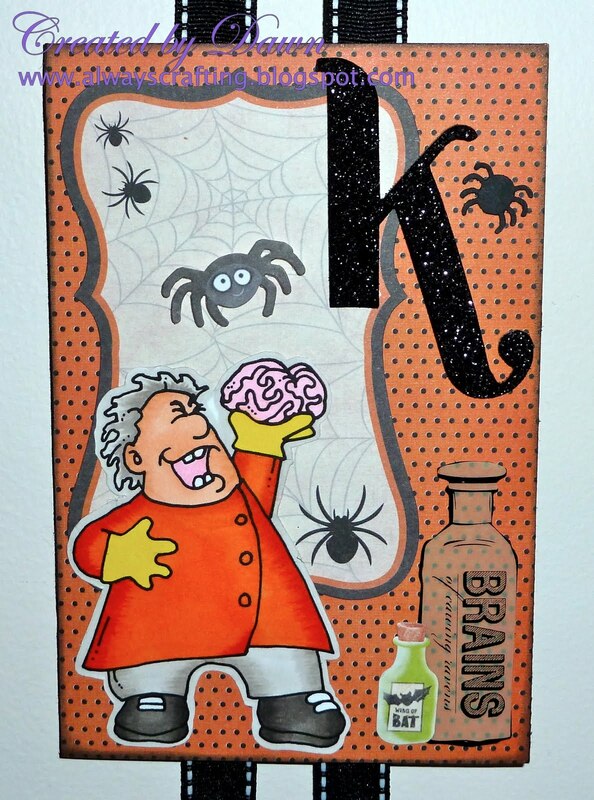 they have some super cute images and Halloween is my favorite too! Just so fun and you get to eat candy!! Thanks for going "glitter" with us at Clearly Inspired Challenge. 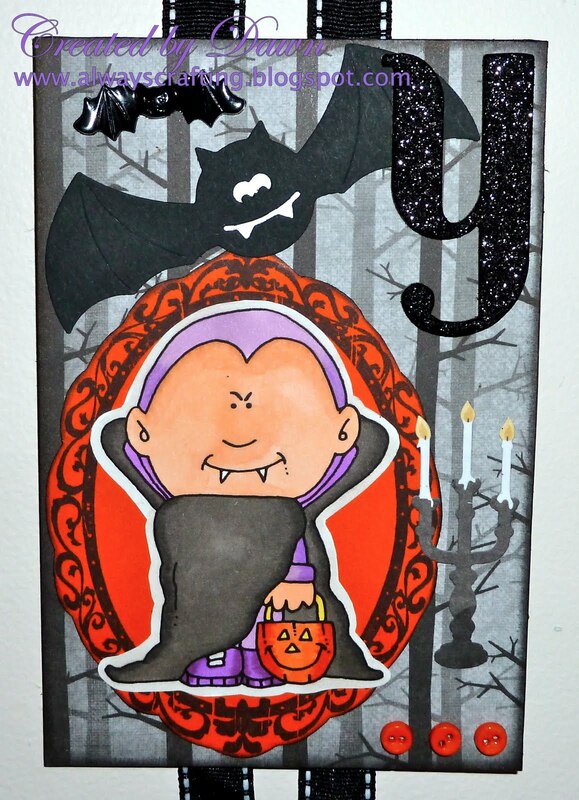 I love your Spooky Wall Hanging Dawn, you've used so many great images, it will look great hanging in your home for halloween. this is amazing, you did an amazing job! fun & fabulous Dawn! Oh my, what a super hanging. I really like the images used. So glad you joined Tuesday Throwdown this week. I so remember that song I am showing my age now fab hanging project hun love it thank you for joining us at Cuddly Buddly this week for our recipe challenge. What a great project! So sweet and spooky! How adorable. I'm sending this link to my friend...she loves Halloween. Thanks for playing along at Kaboodle Doodles. How darling!!! Thanks for joining us at Frosted Designs!! I think you nailed Monster Mash. And with such cute images. Thanks for going "glitter" with us at Clearly Inspired Challenge. Hope to see you on Sept 30th for the new challenge. OMG! This is just too cute! I love it! What a fab halloween creation! What a fun and cute project, love it! 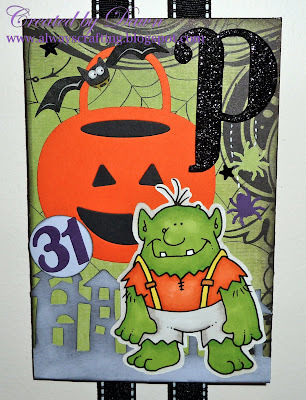 Thanks so much for joining in with our challenge at Cardmadfairy's Digi Days and sharing your fab work with us. What a cute banner! I love all the sparkle this has. This has to look adorable hanging in your house!! So glad you could play along with us on the Whimsie Doodles blog. WOW FANTASTIC,love all the details!!! Thanks for joining us at Creatalicious!! This is one amazing project with such variety in color and characters. Thank you for participating in the Whimsie Doodle Challenge! This is such a FUN & CUTE wall hanging. Thanks for playing along with us at Whimsie Doodles.